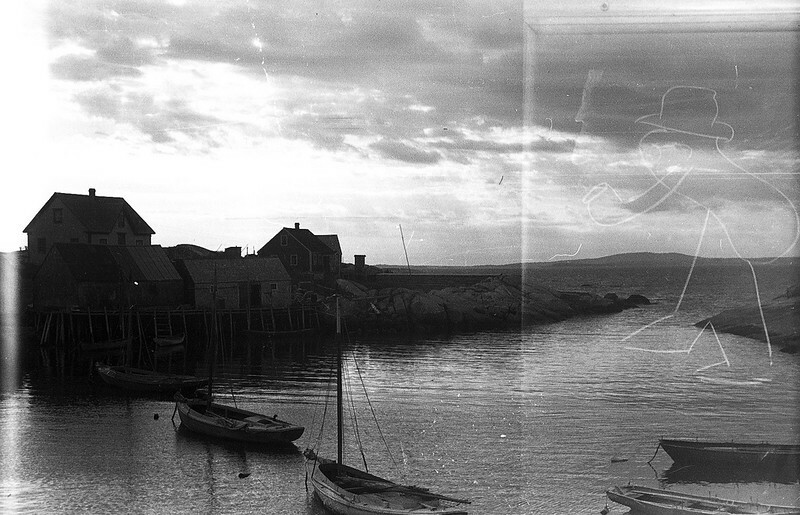 A compilation of double exposures, an accidental phenomenon no longer possible with digital cameras. 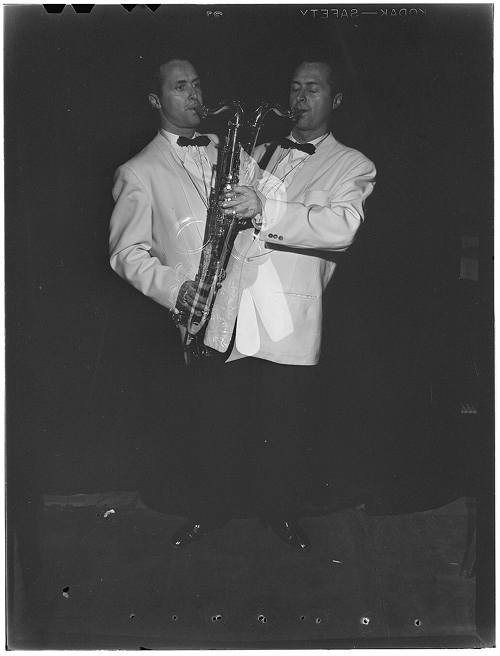 As well as the unintentional displayed here (though the first picture is debatable, and the saxophonist too), it was a common practise to use double exposures to create what became known as “Spirit Photographs”. 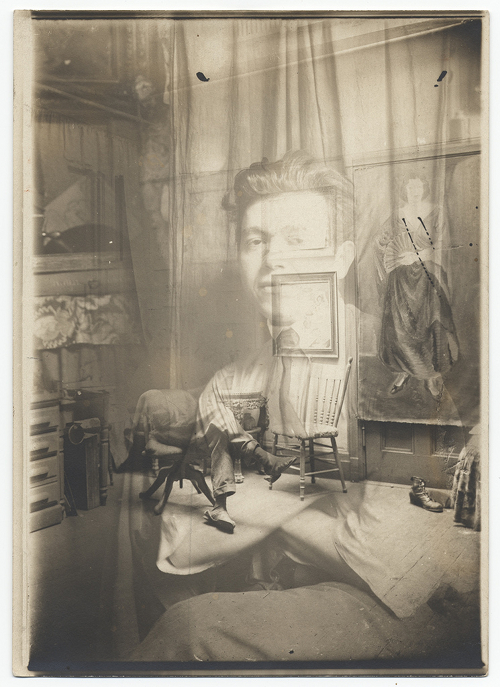 One of the most prolific of the spirit photographers was a man named William Hope, whose startling images you can see in our post “The Spirit Photographs of William Hope”. 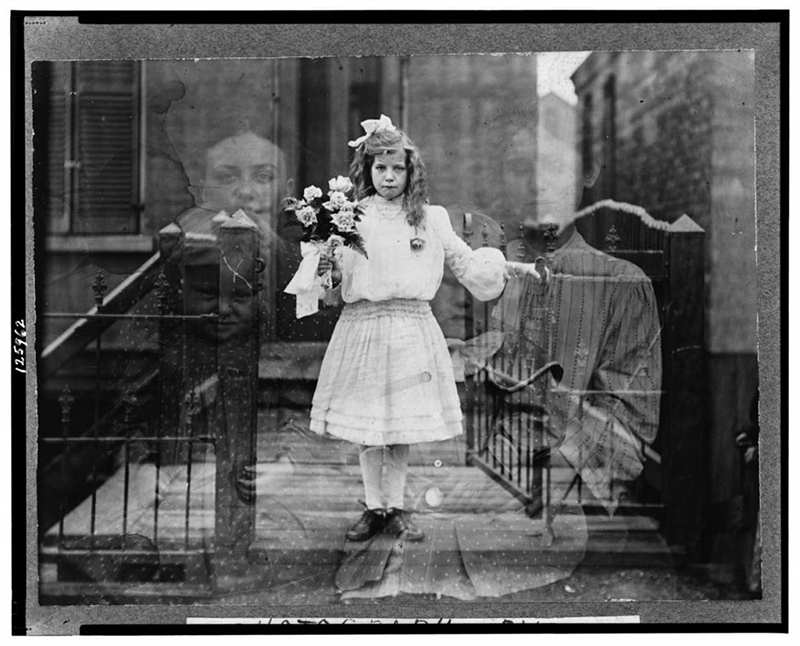 A girl with flowers, a family appearing behind, ca. 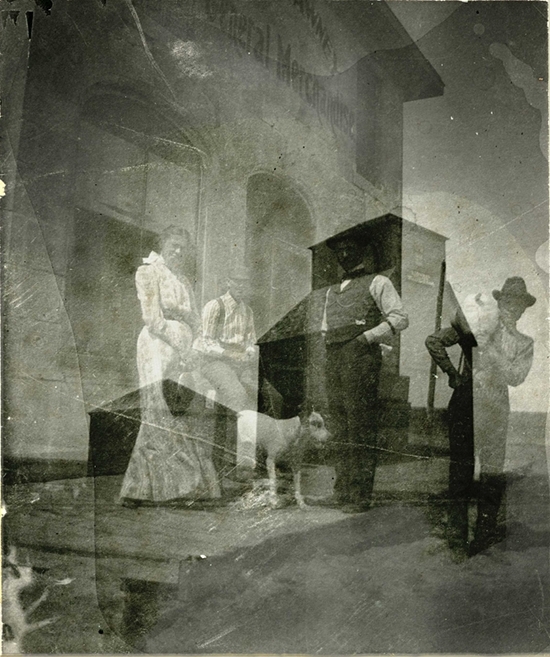 1905 (might possibly be intentional, made as a ‘spirit’ photograph) – Source. 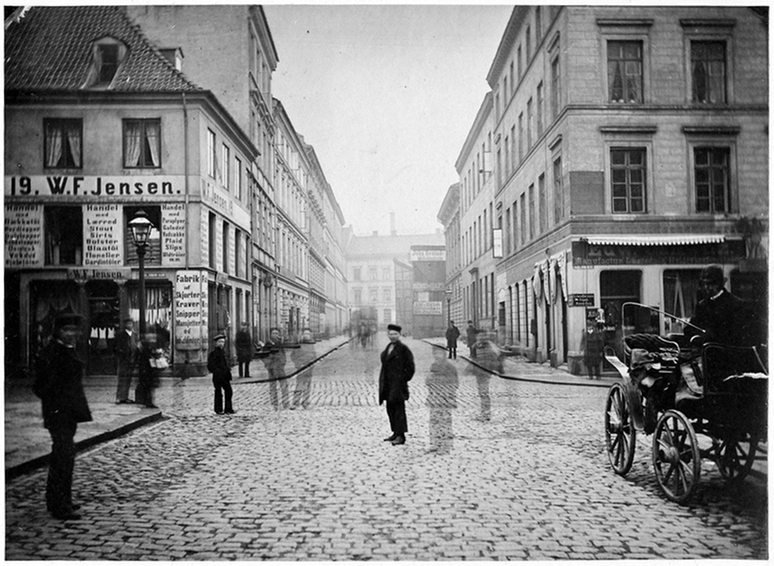 Nedre Slottsgate in Oslo, Norway, in 1882 – Source. Jan Matulka seated in his studio, ca. 1920 – Source. 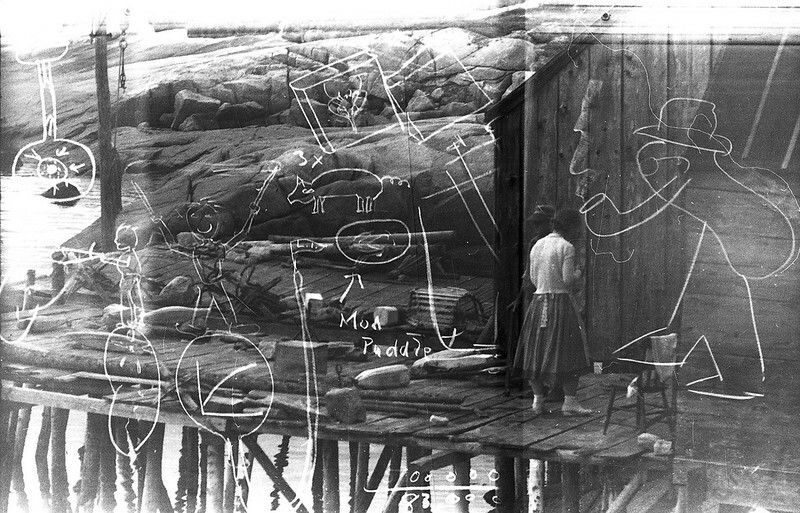 Double exposure involving drawings on a blackboard, Cape Breton Island, Canada, 1936 – Source (CC-BY-SA). Family outside house, unknown place and date – Source (CC-BY-SA). 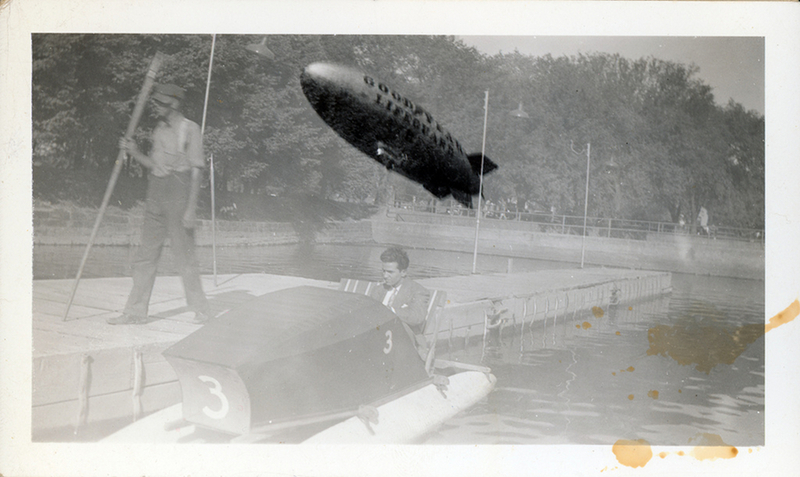 Double exposure with a Goodyear Blimp, possibly Miami in late 40s – Source (CC-BY-SA). 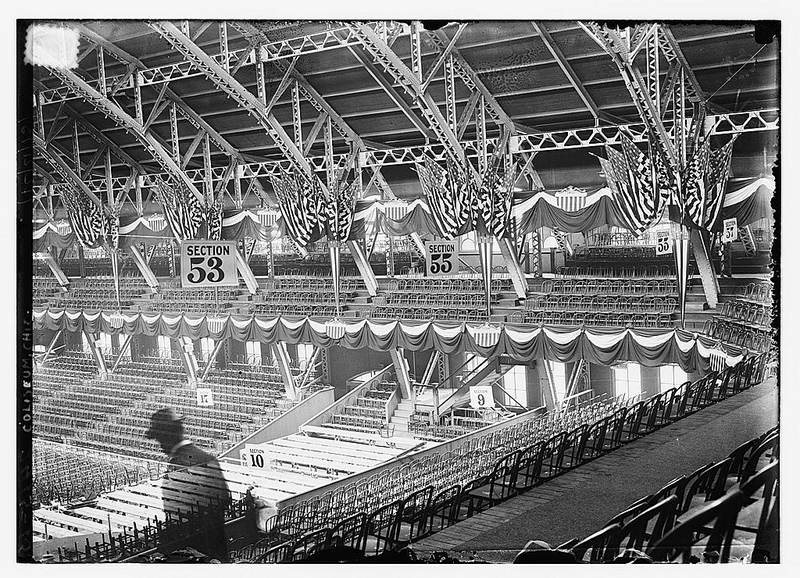 Photo taken at the 1912 Republican National Convention held at the Chicago Coliseum, Chicago, Illinois, June 18-22th – Source. 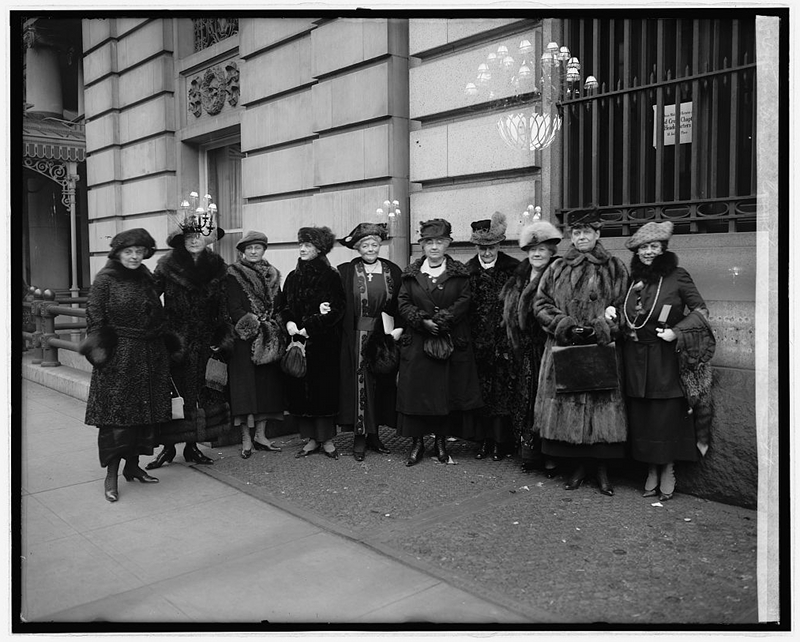 Women’s Committee (ca.1920) – Source. [Portrait of King Guion, taken some time between 1938 and 1948 – Source. 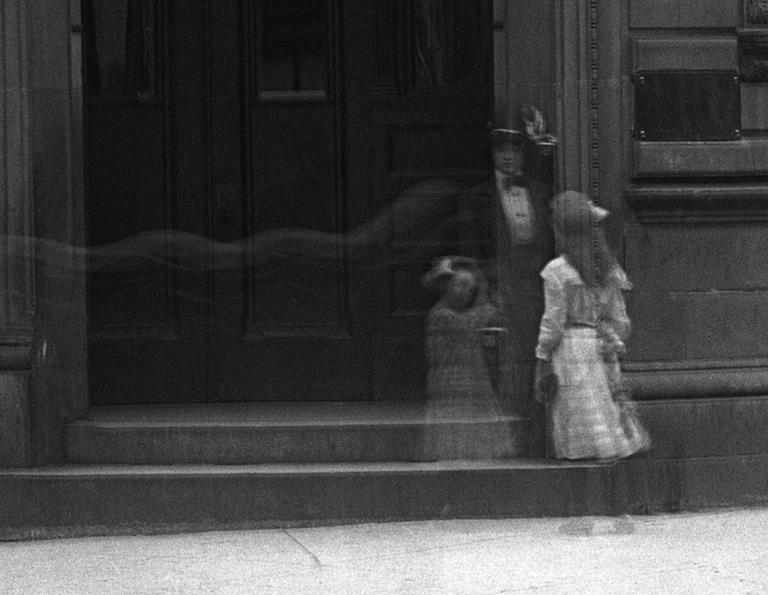 Photo taken at outside the Royal Bank Branch, Notre Dame Street, Montreal, Canada in 1911 (possible that this is simply a long exposure) – Source. 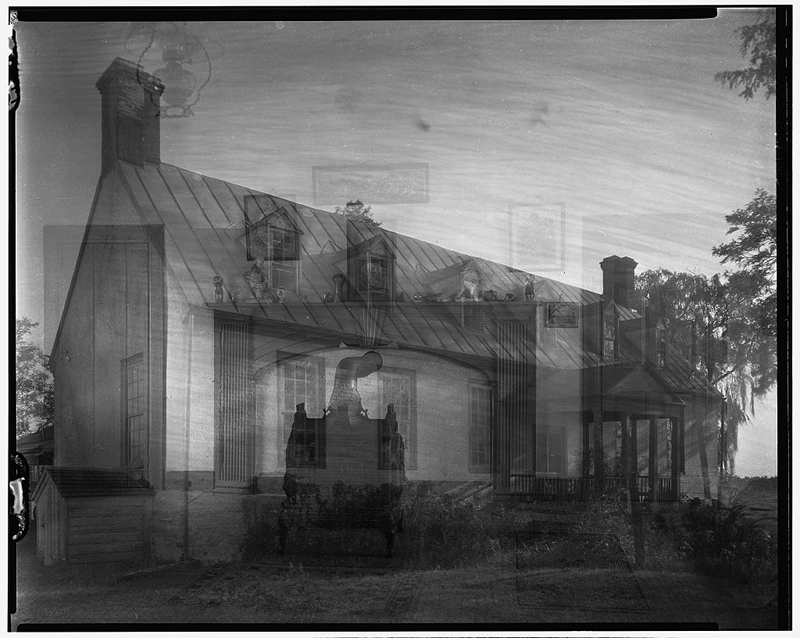 “Mount Prodigal”, Gloucester County, Virginia – Source.